The past 12 months has seen quite the shake-up with the Official Cash Rate. The Reserve Bank of New Zealand has cut the OCR four times (each time by 25 basis points), primarily to stimulate inflation. The current rate is at a record-low 1.75%. In general, mortgage rates have dropped in response to these OCR cuts, however, in recent months, interest rates have increased in spite of cuts. With a general trend of mortgage rates decreasing along with the OCR, you’d expect to see credit card rate cuts too, right? We have good news and bad news for you, folks. The bad news: credit card interest rates have not followed a similar pattern of home loan interest rate cuts. The good news: shopping around means you can still save cash on credit card costs. So what’s been happening in the credit card space? 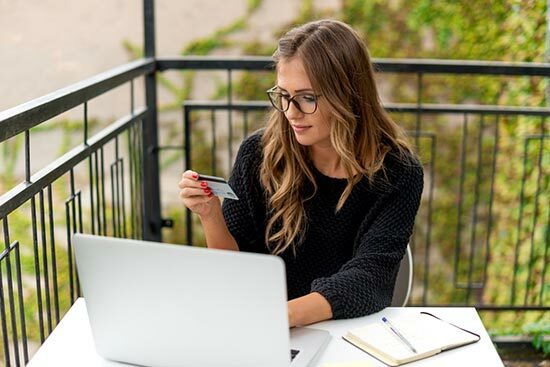 Canstar has analysed 44* credit cards as part of the annual credit card star ratings, taking into account fees and charges along with benefits and features. While the OCR has seen a 100 basis point drop over the past year, credit card interest rates have barely budged. In fact, the minimum credit card interest rate recorded on Canstar’s database, as at December 2016, (12.69%) is exactly the same in December 2015. Looking at the average credit card purchase rates, there has been a downward shift – but only minimally – from 19.27% to 19.24%. Conversely, the maximum credit card purchase rate has actually increased slightly in December 2016, compared with the same month the previous year – from 25.45% to 25.99%. So, while you might have been hoping a cash rate reduction would lower credit card interest rates, it’s heartening to see prices have not skyrocketed over the past year! Doing your research is key when it comes to credit cards, to match the best rates and fees available, with any benefits most suited to your needs. *44 refers to the number of credit cards that have received a full rating in 2016. In the Low Rate and Low Fee profiles, credit cards must have been available to consumers for six months to receive a full star rating. Products that do not meet this requirement will be eligible to receive a “rising star” award. You wouldn’t expect an OCR reduction to lower credit card fees, but it’s still worthwhile looking at any changes to these fee levels, so you know what you’re working with. On the plus side, there haven’t been any significant fee increases – but there haven’t been any huge cuts, either. The minimum annual credit card fee is at $0 in both December 2015 and December 2016, according to Canstar’s database. Of course, consumers will be grateful there hasn’t been any change there! The good news continues with fees; the average annual credit card fee has actually dropped slightly, from $116.60 in December 2015, to $112.89 in December 2016; a $3.71 difference. The maximum fee for a standard credit card is $390 in December 2016, the same rate as at December 2015. Looking across all credit cards, the maximum fee is actually $1250 – in both December 2015 and December 2016. But this refers to a specific type of card known as a charge card. Unlike a traditional credit card, a charge card does not have a pre-set limit. Instead, consumers have to pay off any purchases they have put on the card – in full – each month. Credit cards: how do you make savings if rates don’t drop with OCR? Historically, a lower OCR has favoured borrowers; banks have charged consumers less interest for a loan on the back of the rate cut. However, there isn’t a hard and fast rule that a lower OCR means lower interest rates on banking products. In recent months, mortgage rates have risen in the face of a reduced OCR, and so have unsecured personal loan rates. Credit card interest rates have also stayed virtually the same despite four reductions to the cash rate over the past year. So, if you’re not guaranteed savings following a cash rate cut, how can you pay less when it comes to credit cards? As with all banking products, doing your homework is the first step to avoid throwing away money on charges. Scan the credit card market and weigh up any rewards or other incentives against costs, such as fees and rates. Check out Canstar’s 2016 star ratings report and credit cards table, to see which products have received a 5-star rating reflecting outstanding value, and to help find a product best suited to your needs.